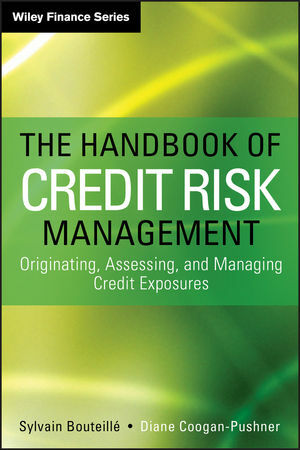 The Handbook of Credit Risk Management presents a comprehensive overview of the practice of credit risk management for a large institution. It is a guide for professionals and students wanting a deeper understanding of how to manage credit exposures. The Handbook provides a detailed roadmap for managing beyond the financial analysis of individual transactions and counterparties. Written in a straightforward and accessible style, the authors outline how to manage a portfolio of credit exposures--from origination and assessment of credit fundamentals to hedging and pricing. The Handbook is relevant for corporations, pension funds, endowments, asset managers, banks and insurance companies alike. Covers the four essential aspects of credit risk management: Origination, Credit Risk Assessment, Portfolio Management and Risk Transfer. Provides ample references to and examples of credit market services as a resource for those readers having credit risk responsibilities. Designed for busy professionals as well as finance, risk management and MBA students. As financial transactions grow more complex, proactive management of credit portfolios is no longer optional for an institution, but a matter of survival. SYLVAIN BOUTEILLÉ is Head Key Account Management and a member of the management team of the North American division of Swiss Re Corporate Solutions. In 1996, he joined Swiss Re in Zurich, Switzerland, in the newly created credit risk management division. In 1998, Bouteillé moved to New York where, as U.S. Head of Credit Risk Management, he was responsible for credit risk aspects of all insurance and capital markets transactions. In 2003, he became U.S. Head of Structured Credit Underwriting, where he originated and structured credit derivatives and financial guaranty reinsurance transactions. Since 2008, Bouteillé has been working with risk managers of Fortune 500 companies to develop traditional and non-standard insurance solutions. Bouteillé holds an MS in civil engineering from ENTPE (France) and an MBA from INSEAD (France). DIANE COOGAN-PUSHNER is Distinguished Lecturer and Director of the Graduate Program in Risk Management at Queens College, City University of New York. She began her career in financial services at the World Bank and held increasingly senior positions in finance and strategy at AT&T and PricewaterhouseCoopers. Coogan-Pushner moved to Swiss Re, and as Managing Director, originated and structured reinsurance transactions and other risk transfer solutions for insurance clients. Other credits include roles as a portfolio manager for a hedge fund and for a private equity fund both dedicated to financial services. She has served as a director for an insurer and as a member of S&P's Insurance Ratings Advisory Council, and consults to financial institutions in their asset management strategy. She received her PhD in economics from Boston University in 1992 and is a CFA charterholder.